"none of the characters in the League have explicit orientations"
I'm curious, why does the appearance of a character mean they're gay.. or not? I could see the Garen and Darius rivalry having sexual undertones! 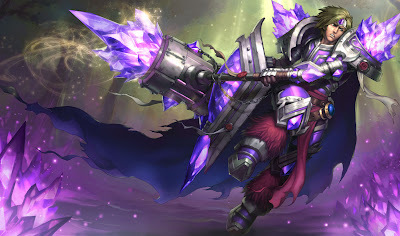 Maybe Corki likes all genders, and perhaps Fiora is asexual. None of these are necessarily true, mind you. Does this seem true to you or are there some characters who obviously don't reflect his statements? Comment below! Note: As you probably understand, this topic may be highly controversial. I encourage you to comment, but please keep your comments respectful and mature. Thank you for your cooperation! Vi is lesbian, we know that. Maybe Taric can prove it wrong. Just for the record: Besides my dance, I am straight! Along with this line, how many people refer to a female champ as her? I hear my friends in skype saying things like 'he' and 'got him'. This can actually lead to some confusing moments! I go to kill EZ and all of a sudden I think they switched to Lulu. YIKES! LOL +1 for that taric comment lordgenoma!